It was just like Christmas at DFD today as the new pumper tanker arrived about 10 a.m.
For more photos check out our flickr album: Truck 5 arrives. 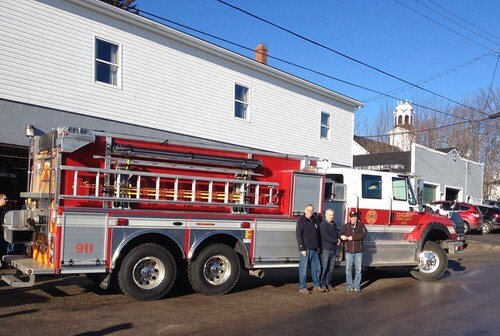 Our new pumper tanker has arrived. Chief Robert Morgan drove Truck 5 up to the firehall about 10 a.m. Saturday, Dec. 12. 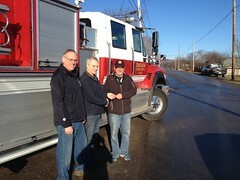 Stephen Leslie of Carriere Fire and Safety handed over the keys to Chief Morgan and Digby Mayor Ben Cleveland. 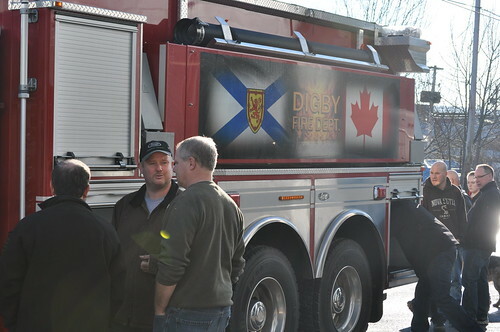 For details on what we ordered, read “New firetrucks in the works for Bear River and Digby” from the Digby Courier of March 2015. 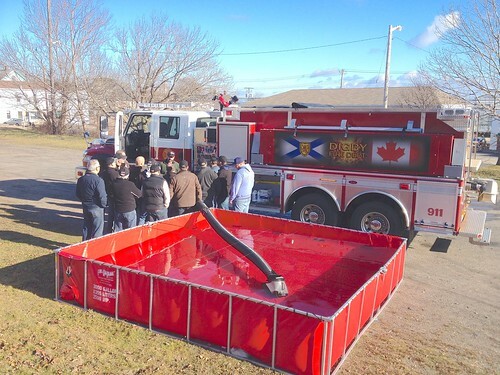 At the regular December meeting of the Digby Fire Department on Dec. 1, we elected chain of command officers and administrative officers. Robert Morgan was acclaimed fire chief. Justin Wood was acclaimed deputy fire chief. 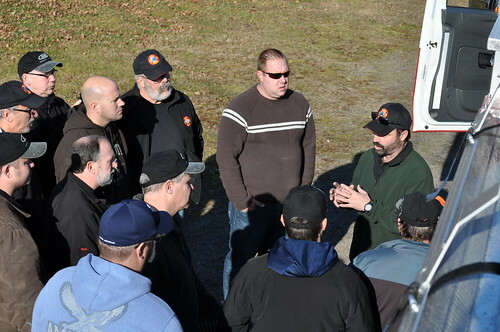 The department accepted with deep regret the resignation of Training Officer Bob Lambie and no nominations were made for the position at this time. Captain of Company 1 is Steve Savary Senior. Lieutenant is Steve Savary Junior. Captain of Company 2 is Kevin Manzer. Lieutenant is Will Grover. Captain of Company 3 is Adrien LeBlanc. Lieutenant is Rick Sabean. President is Ralph Cummings. Vice President is Greg Van Tassell. Secretary is Steve Savary Senior. Treasurer is Rick Sabean. Assistant Secretary Treasurer is Reid Ross. 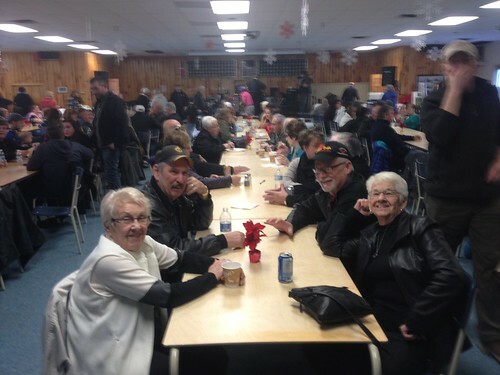 Congratulations to the friends and family who organized the Benefit for Breagh Carty, held upstairs in the Digby Firehall on Nov. 29. 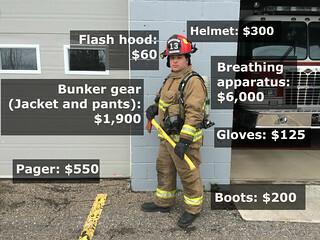 $31,050 is an astonishing fundraising total. It is heart-warming to see what a generous and supportive community we live in. 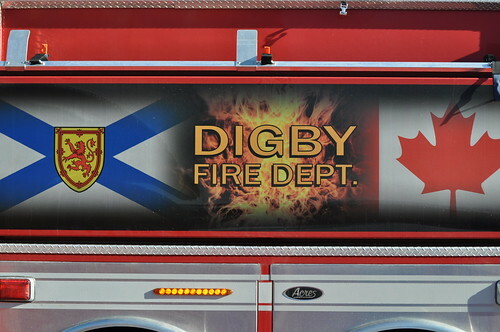 The members of the Digby Fire Dept wish Breagh a speedy and complete recovery. 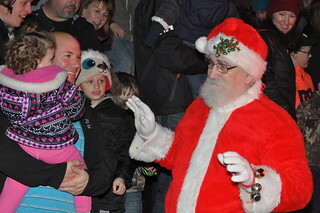 The Digby Fire Department once again made sure Santa made it to the Digby Christmas tree lighting and home again. Santa has a magical digestion that allows him, on Christmas Eve especially, to eat tons and tons of cookies without changing his outward appearance. “But I definitely get heavier,” he says. Normally Santa uses magic to power the reindeer sleigh and compensate for the weight gain. 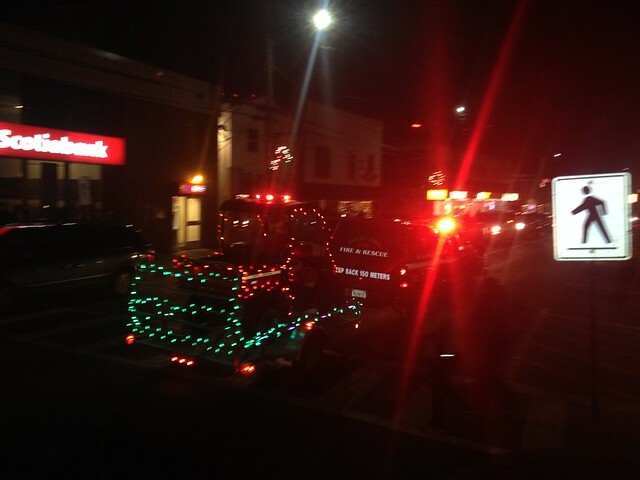 The whole herd of reindeer however isn’t ready for sled-pulling until later in December – which is why Santa always asks DFD to help him out for the Christmas Tree lighting . 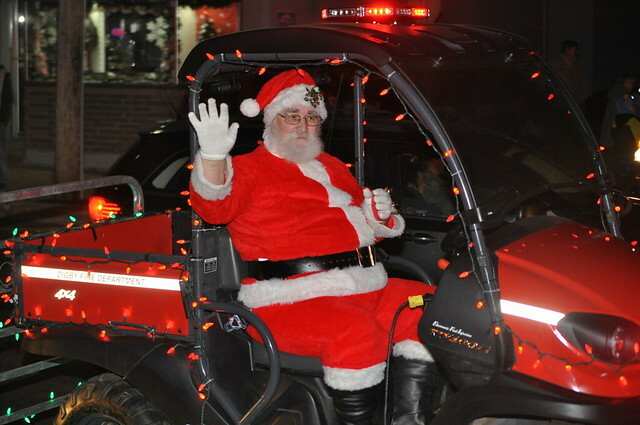 DFD and Santa Claus would like to wish everyone a happy and safe holiday season and remind the public to take a lesson from Santa Claus.